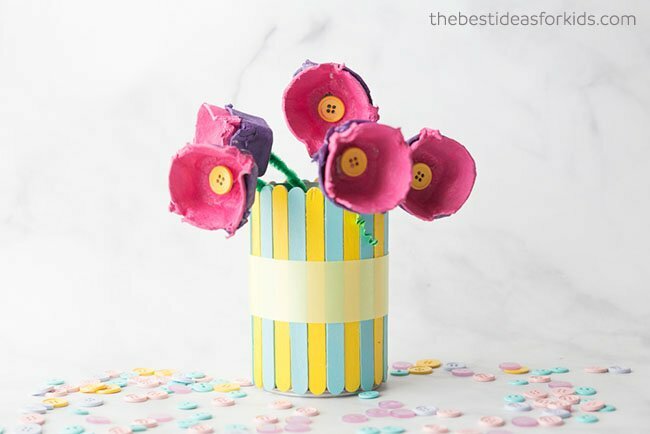 Mother’s Day is just around the corner and today we’re sharing these 20 Mother’s Day Crafts for Preschoolers. Some of these ideas may require help from mom (or someone else who is helping your preschooler make it for mom!). Looking for a craft that mom will love year after year? 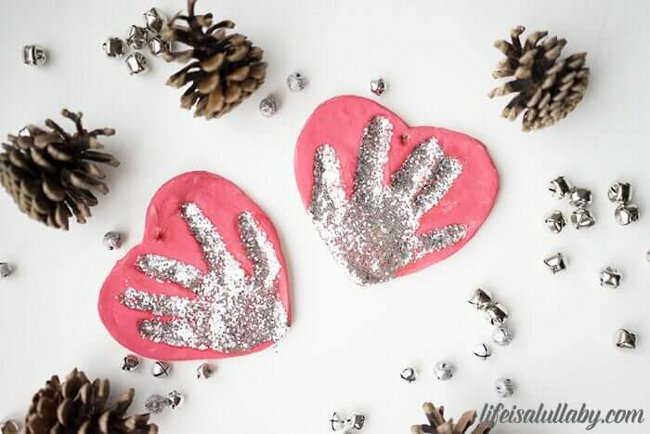 This Salt Dough Handprint Ornament by The Best Ideas for Kids will delight mom and be an adorable keepsake. Celery stamping is a favorite for preschoolers! 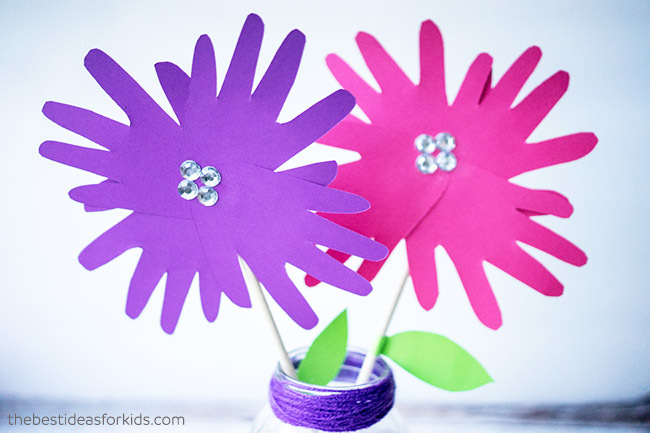 You can stamp these onto a card or make this pretty flower bouquet. 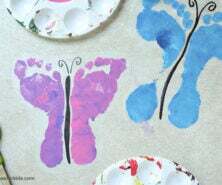 Handprint Butterflies make the cutest card idea for Mom! She’ll love that these are made from handprints. 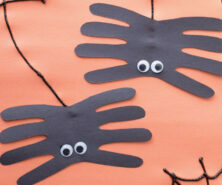 Preschoolers can decorate with pom poms, stickers or paint. It also comes with a sweet poem to add inside. 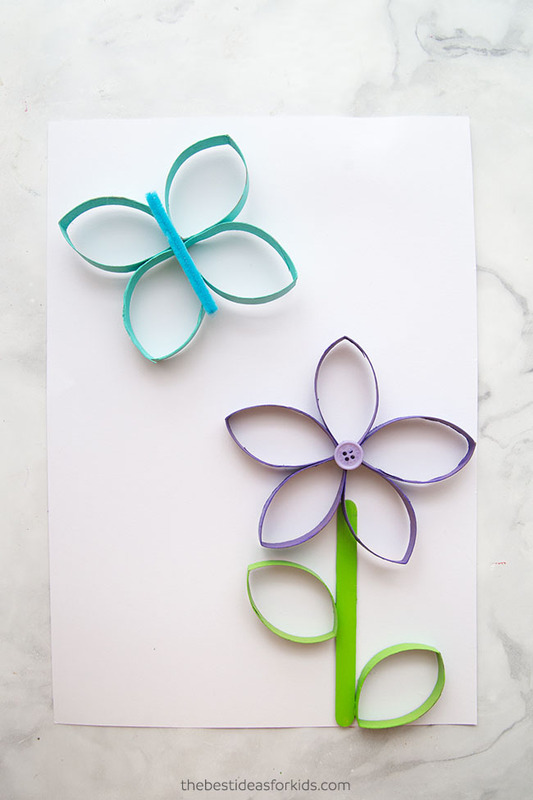 This flower template craft is perfect for Preschoolers to make! They can add special messages under the petals. 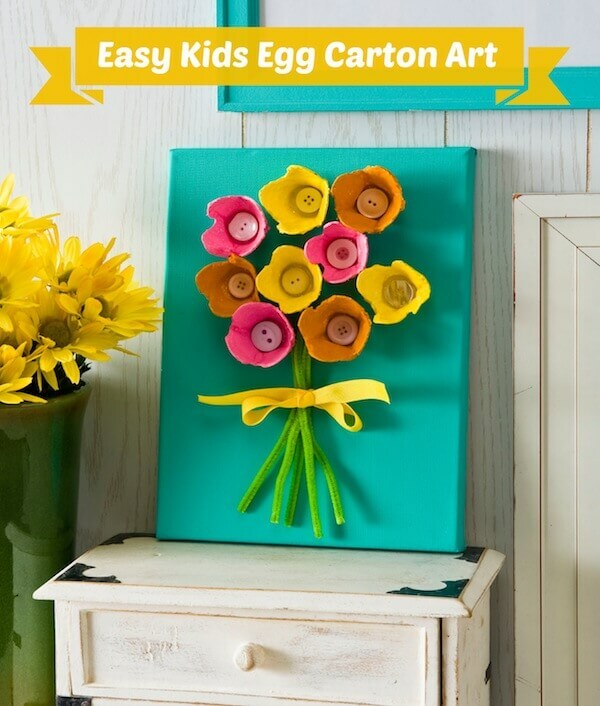 We love recycled crafts – and this egg carton flower bouquet is perfect to make for Mom. 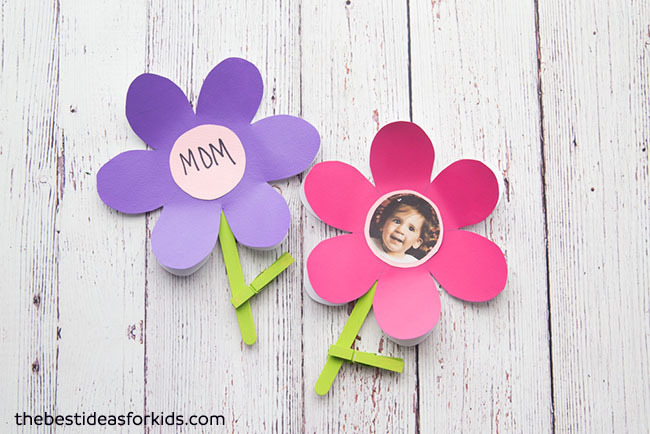 Preschoolers will love making each flower! 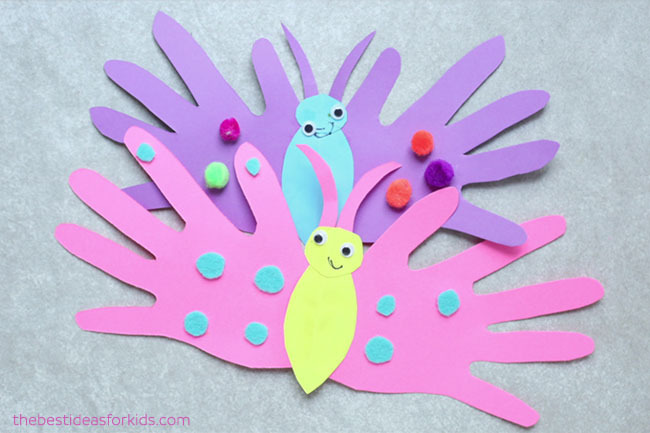 Save some paper rolls and make these cute butterflies and flowers! These are fun for preschoolers to paint. 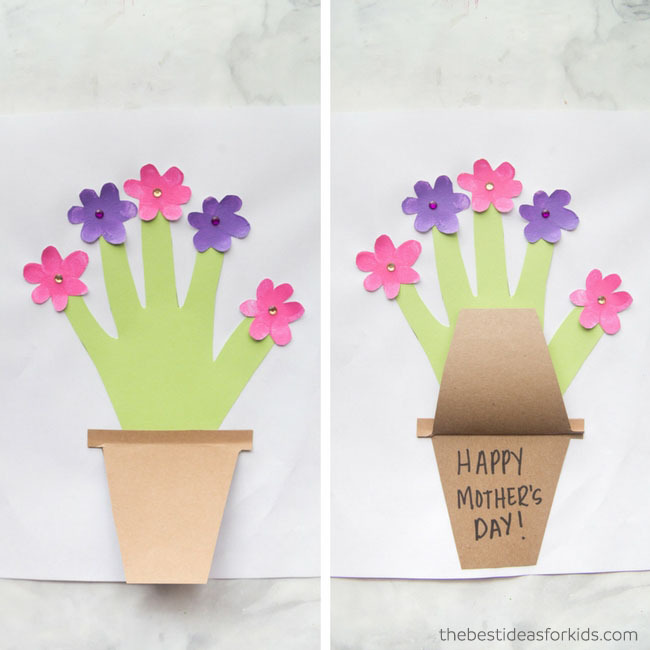 This handprint flower pot card is too cute! 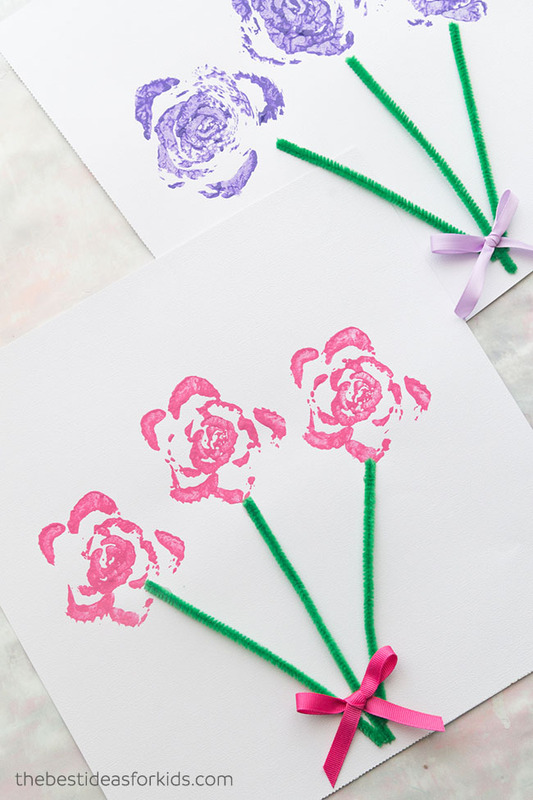 We love that kids can trace their hand and then decorate flowers with fingerprints. Buttons are great for fine motor practice! 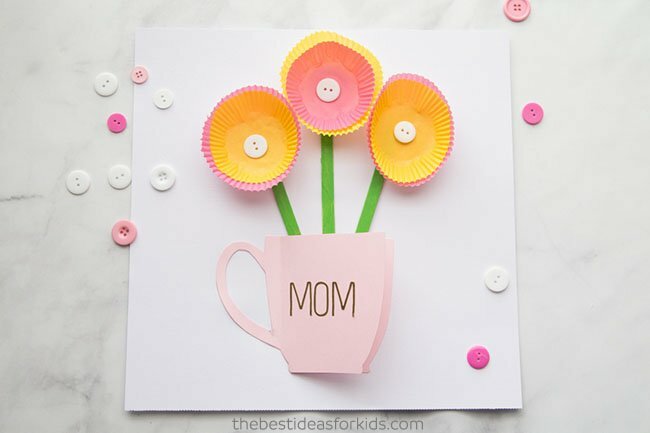 Have your preschooler make button flower cards for Mom. Mom will love to receive these handprint flowers. Place them in a mason jar or tin can for display. 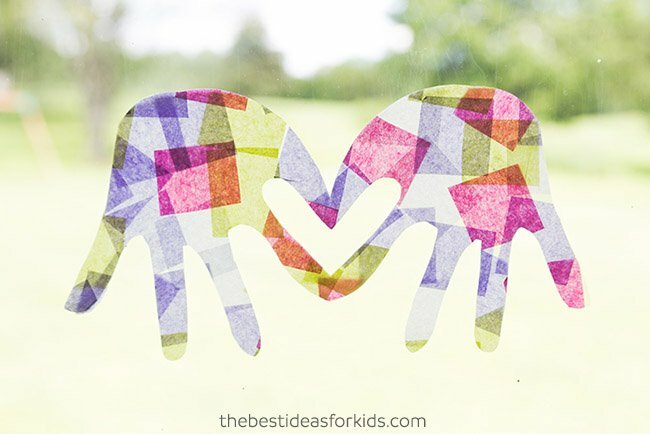 Make these cute handprint suncatchers. These are perfect to hang on the windows in Spring and mom will love seeing them there! Looking for an easy card preschoolers can glue together? This cupcake liner card is perfect! Have the coffee cups pre-cut and they can glue on the cupcake liners, popsicle sticks and coffee cups. Free printable template included. 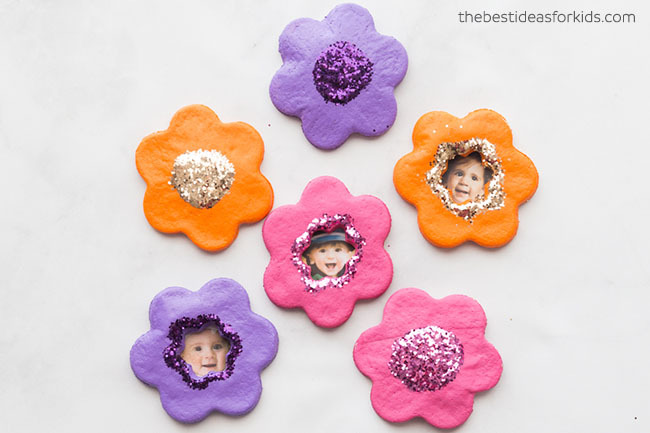 Here’s another cute salt dough project – make these flower salt dough magnets. Make the dough in advance and bake them and have kids paint and decorate for Mom! 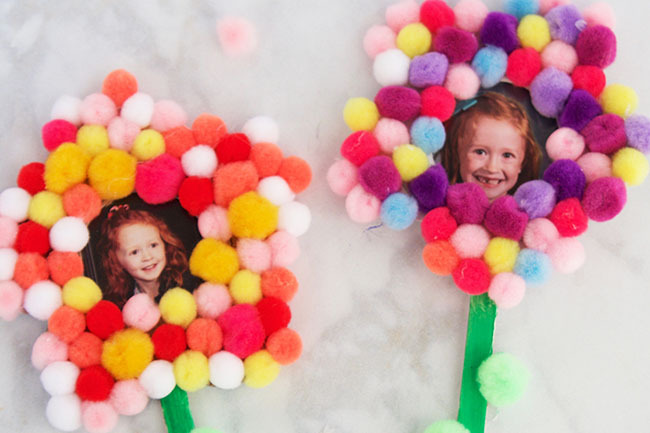 These pom pom flowers can also be turned into magnets! This is great fine motor practice for preschoolers too! 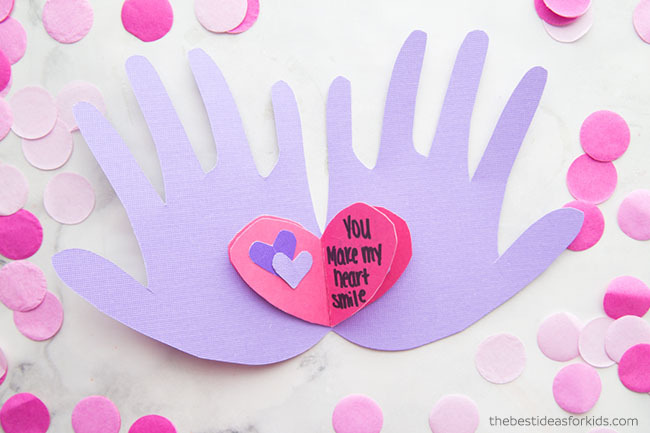 Kids can make this simple handprint card and write little messages inside for Mom. 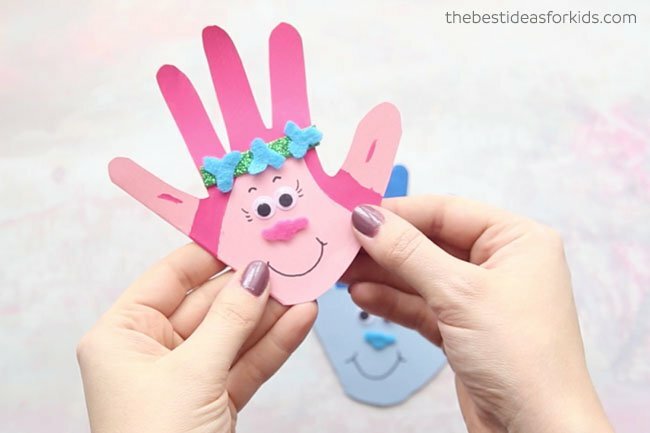 And if you have a Trolls fan, they will love making these Trolls’ handprint cards! Sign them, “Love your little Troll” to mom. 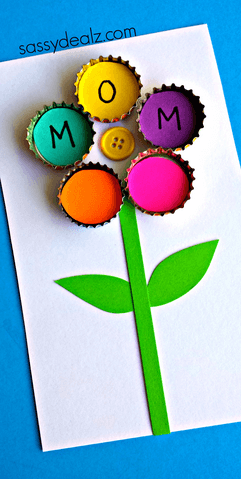 Save your bottle caps to make this very inexpensive and colorful bottle cap flower for mom! Check out Crafty Morning where you can find the directions to make this cute Mother’s Day gift. 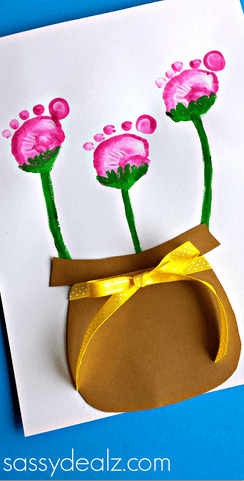 Here’s another cute Mother’s Day craft that uses egg cartons. See more at Mod Podge Rocks. These flower footprints are so cute! By Crafty Morning. 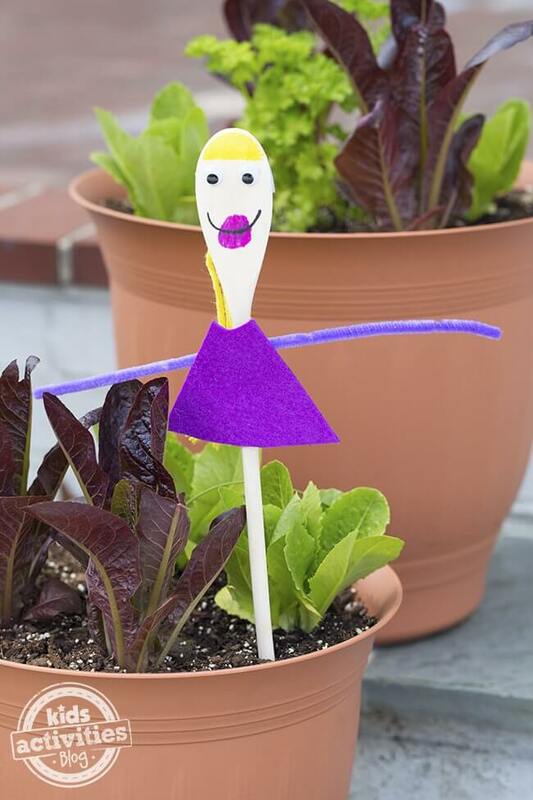 This Wooden Spoon Garden Craft by Kids Activities Blog is so cute and you can add a pretty plant to go with it. Don’t forget about Grandma! 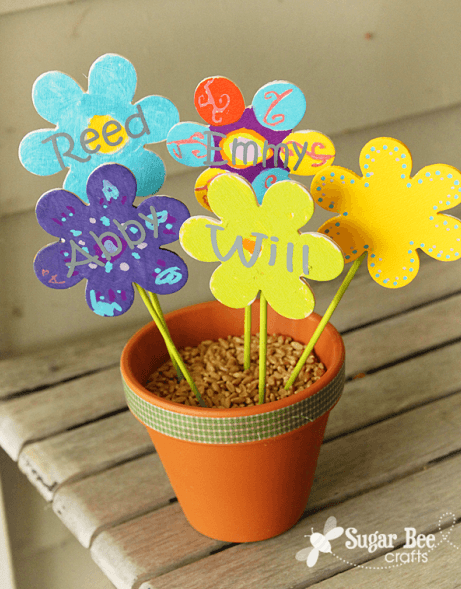 These Grandchildren Flowers by Sugar Bee Crafts are such a nice gift idea. We hope you enjoyed all these great Mother’s Day crafts for preschoolers. Which one will you make? If you’re looking for some gifts that preschoolers can help make. Here are a few of our favorites. 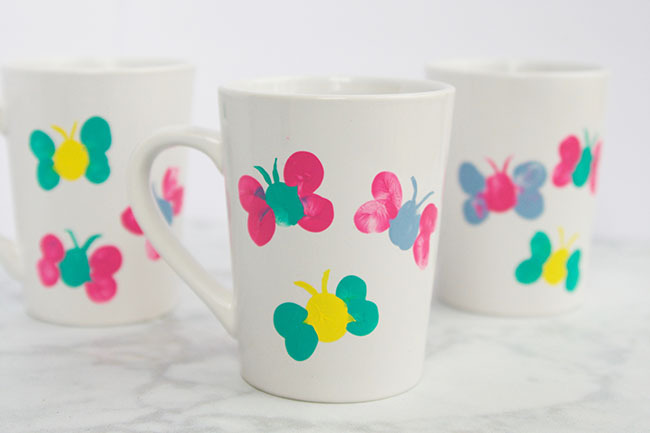 Fingerprint butterflies making the cutest decoration on these fingerprint butterfly mugs! Mom or Grandma will love using this mug every day. 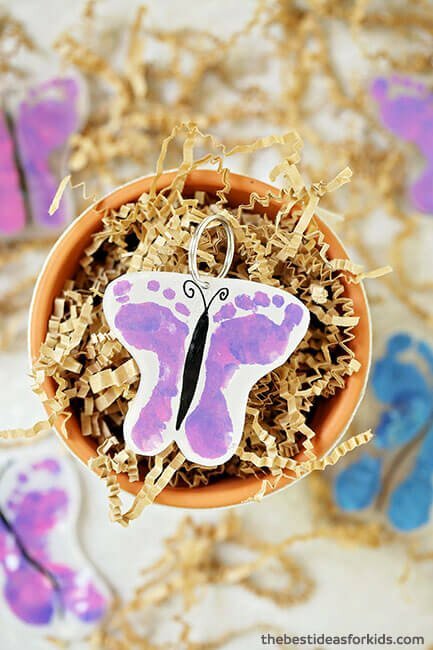 If you like footprint butterflies, you’ll have to make these adorable butterfly footprint keychains! 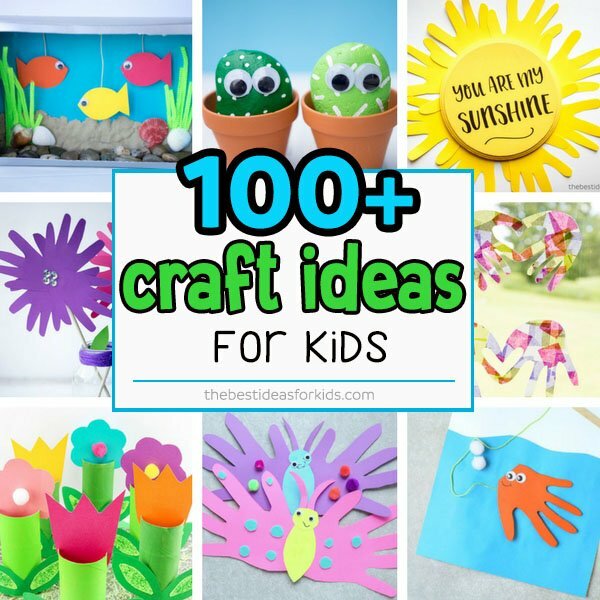 See over 100+ craft ideas for kids. 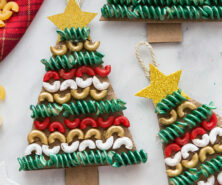 Categorized by holiday, this is page to bookmark for your next craft idea!